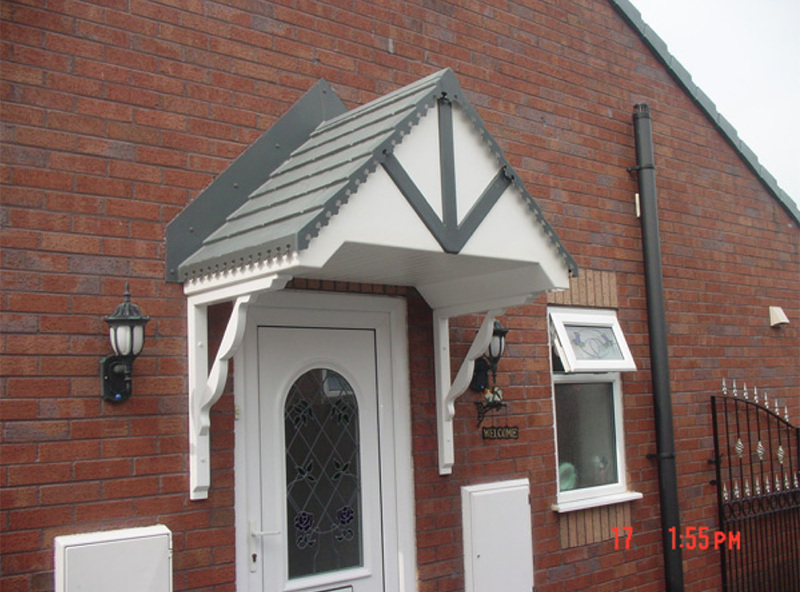 Elwyns can supply and install a wide range of stylish entrance door canopies, patio canopies and canopies for porches. Canopies are manufactured from highly durable fibreglass and finished with a high gloss colour from any of the British Standard approved range. Our canopies and roofs will transform the look of your property whether installed above an entrance door, over a porch or providing shelter over a patio area or car port. Practical and useful our canopies provide cover for your barbeque and washing line from unexpected downpour of rain as well as keeping your steps, patio area and car port free of snow. Our canopies are fully insulated, maintenance free and are available in a wide range of shapes including multiple facets. 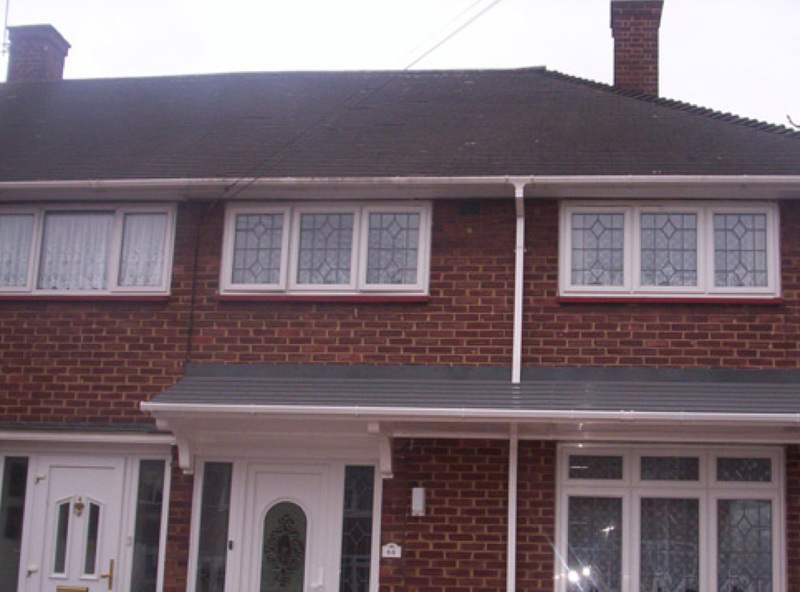 They can be supplied with recessed lighting factory fitted, a choice of fascia designs and offer a full 10 year water ingress guarantee. All canopies require a minimal degree of maintenance to ensure that they are kept clean and free of dust and grime. Canopies should be wiped clean using a mild detergent in water at regular intervals in order to ensure that they are kept free of dust and grime. The use of abrasive or corrosive cleaners and materials are not recommended. For further details contact our unique showrooms in Carshalton, Woldingham and East Dulwich where viewing of canopy samples can be arranged.